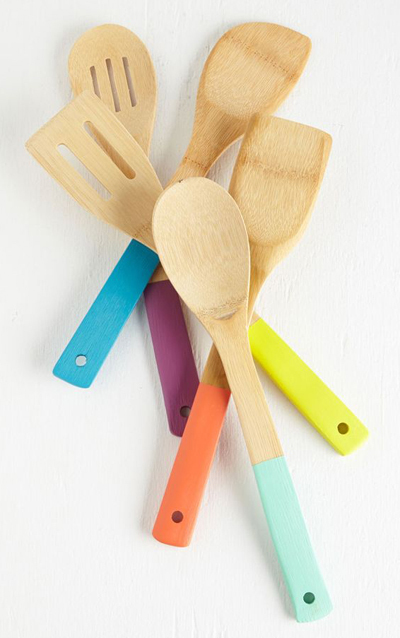 Add style to your kitchen with this set of five Colorful Bamboo Serving Utensils. Offering slotted, rounded, and squared-off varieties that are each vibrantly color dipped, this culinary set is a dinner party must-have. $19.99. Buy here.